Bing as been my default desktop search engine ever since Google stopped providing my favourite service; Google Reader. In practical terms this means when I use Chrome's omnibox as a search bar I was taken to Bing. Today things are different. Today my default Chrome tab which usually shows me my most popular webpages as quick press tiles is gone. In its place there's a Bing search box and a clean slate. 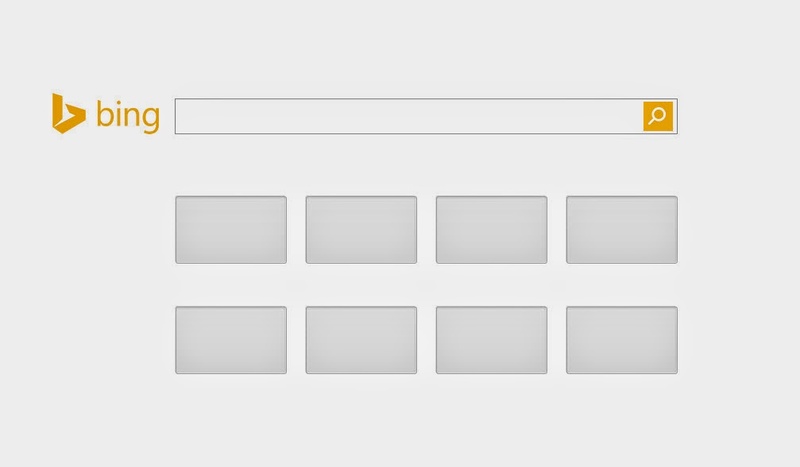 I imagine these 8 tiles will fill up as Chrome's old default did. Does setting my default search engine to Bing allow Microsoft to do this to my Chrome experience? Is this a search engine? Food for thought.